Search engine optimization, or SEO, has changed the way in which we search for and access information online. With companies realizing the need for having an online presence in order to attract their clientele, more companies have been seeing the benefit and need for having and generating content that can be accessed online. SEO is the practice of building a webpage in such a way that it is easily found by search engines when certain keywords are searched. However, SEO is not static. In fact, in the last year alone, SEO requirements and guidelines have changed multiple times, and are in constant flux. With these changes, we now need to think of how the landscape of voice search affects SEO and how we can alter our strategies. There needs to be an incorporation in the increasing use of voice search to access information. How is Voice Search Different From Regular Search? 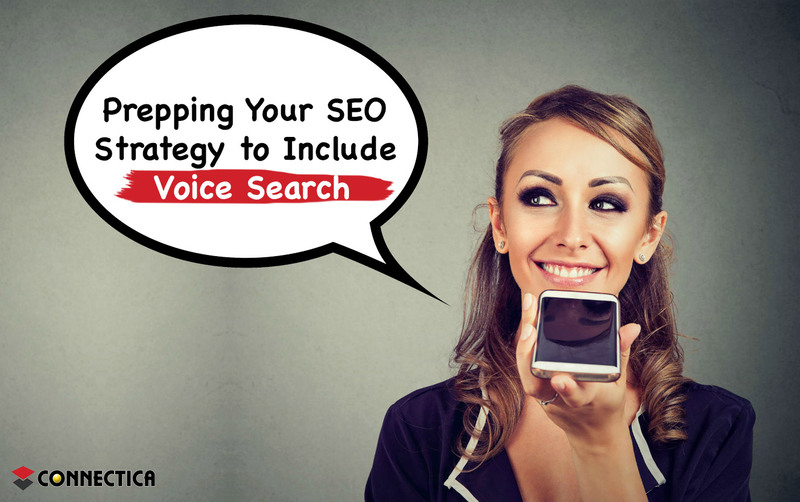 Before talking about how SEO can accommodate voice searches or how you can alter your SEO strategy, it’s important to understand how voice search is different from other search methods. Increasingly, people are using voice search on their phones and home assistant devices (think of Siri on iPhone and Google voice on Android or Google Home and Amazon Echo) to access information. More and more people are realizing the ease and benefit with which they can access information by simply using voice search. These digital assistants have made it easier for us to simply ask a question in a natural and conversational tone of voice and get information back. Asking a question conversationally is a big difference over using shorthanded keywords to search for information. How Can SEO Incorporate Voice Search? So how can SEO be altered to incorporate voice search? Well, when search engines were first introduced in the 1990s, users of the internet have learned to enter succinct keywords for things they were searching for. However, because of the conversational nature in which voice searches are done, they are typically longer than the standard 1 to 3 words that can be expected from a normal text search. These type of keyword searches are called long tail keywords because it typically contains some highly specific phrase. For example, “Which restaurant serves dinner now?” is a highly specific search that is done in conversational language and is asking a question. So now, SEO content needs to be more conversational in nature and try to mimic the way in which real people talk and answer questions. What people are typically searching for with voice search is local content and information, in the form of a question. These questions are usually the 5 W’s; who, what, where, when, why. So, in order to tailor SEO to incorporate this, the content needs to answer or address these questions. In this way, long tail keywords are both targeted and addressed. A deep understanding of a user or customer is important when answering the questions as you want to ensure the answers you provide in your content are what the customer is looking for. Why a customer uses your product or service or even alternate uses for your product are also helpful content pieces that could be used for voice search. Your topics should revolve around the user and what they want to know. Another strategy that is often overlooked but extremely important is the Google Rich Snippets feature. Rich snippets and quick answers are ways in which information is shown on the search results page in the attempt to give the user a quick answer to their question. What analysis of voice search has shown is that users are looking for immediate answers. Sites need to be constantly optimized in order to trigger a featured snippet when a specific query is made. Another way in which voice searches can be addressed is by creating blog content that answers the common questions that people ask. These are typically known as Frequently Asked Questions, or FAQ content. This is a great thing to incorporate in order to get the most out of the Rich Snippets or Quick Answers since this content is aimed at answering a specific question. Keep answers short and conversational. It is also helpful to not only answer common questions, but also think of uncommon questions as well. You may find that many competitors stick to the common questions so providing answers to questions not found on competitor websites could prove to be a winning strategy. Be more useful and helpful than your competitors. If you are interested in having your blog posts or website content specifically tailored to accommodate voice search users, contact Connectica Inc. for all your SEO needs!